Acting Foreign Minister at AIPAC Conference: When Israel is strong, AIPAC is strong. When AIPAC is strong, Israel is even stronger. 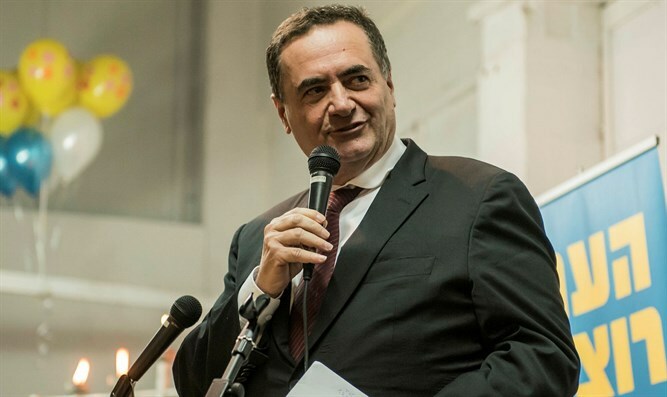 “We thank the current administration for defending Israel in facing the hypocrisy of the United Nations and international organizations which try to deny Israel's right to self-defense,” said Minister Katz. “And, of course, every Israeli is grateful to President Trump, for his historic decision to recognize Jerusalem as the capital of Israel, and to relocate the Embassy to Jerusalem. Jerusalem will always be the undivided eternal capital of the State of Israel!” stated Katz. He also thanked the leaders of Honduras and Romania who announced earlier on Sunday at the AIPAC conference their intention to recognize Jerusalem as the capital of Israel and open diplomatic missions in Jerusalem. “Hezbollah arms itself and digs cross-border tunnels in order to attack Israeli soldiers and kill Israeli civilians. We have destroyed these terror tunnels and we will act against those who plan to attack Israel!” he continued. “If we stand together – AIPAC, and the state of Israel – we will overcome any and every threat!” he added. Katz mentioned his regional initiative "Tracks for Regional Peace" which would create a freight rail network between Israel and Jordan, linking it through Jordan to other Arab countries. “I invite AIPAC to be an active partner in this initiative. I hope to see American companies taking part in this project, which is supported by the American administration,” he added.